That should be a television show. It's too bad Twitter wasn't around when Michael Jordan was at the height of his basketball powers because his homicidal competitive streak would have had him up all night looking for any perceived slight on Twitter and then responding in some terrifyingly inappropriate manner. Having MJ-wannabe Kobe actively tweeting is a solid consolation prize, though. Er... did you folks also get this Halloween Uber pricing surge email? What's it really trying to say? Surge pricing for #halloween? Interesting, but initial thought is not a fan @Uber_SF. Maybe Uber stations would have been better. The first wonders what surge pricing is, and then the second, coming just five minutes later, complains about it. A succinct and perfect summary of the public reception to surge pricing for the history books. We live in glorious times, when the time to the inevitable backlash approaches zero. Last night, Twitter curtailed Meerkat's access to its graph. I saw lots of discussion on Twitter (I'd say this was ironic but it's just expected) about why and whether Twitter should just compete on its own merits with its recent acquisition Periscope. Some have termed what happened to Meerkat “platform risk,” and it is, but one must be willfully naive to consider ad-monetized social graphs like Facebook and Twitter to be capital P Platforms. I prefer to call them little p “platforms” (I'm drawing air quotes with my fingers in case you aren't watching me live on Meerkat as I write this). Amazon Web Services (AWS) is a Platform. That is, you can count on it even if you use it to compete with its parent company Amazon. Netflix still uses AWS in their tech stack even as Amazon Instant Video is spending over a billion dollars on content to battle it out with Netflix in the video streaming space, to name one example, and I've yet to hear of any company of any size getting bounced from AWS because they were competitive to Amazon. You could even start a retail company and use AWS. It's a utility like the power company. The reasons why lie in both Amazon's business model and philosophy. AWS isn't free. This is crucial because Amazon makes money off of its AWS customers regardless of what business they're in. As for AWS's philosophy, you can call it altruistic or just pragmatic or both, but if Amazon wants to compete with a company that uses AWS, Amazon will try to beat them in the marketplace. If they can't, they still get a bite of that competitor's income through AWS fees. It's a win either way, and considering AWS is a fast-growing platform that's a critical piece of the world's technology stack, it's more than a minor one. Compare this to free tech platforms offered by companies like Facebook and Twitter that make money off of ads targeted at their social graphs. If a company like Meerkat comes along and piggybacks off the Twitter graph to explosive growth and captures a unique graph, in this case around live video-casting, Twitter doesn't make any money. On the contrary, since the network effects of graph-based products tend to lead to “winner takes all” lock-in, Twitter just ends up having armed a formidable competitor that it might have to spend a lot to buy or compete with later. It's a no-win situation. Facebook has similar ambivalence as a platform. Anyone familiar with the tech space in recent years can name more than one company that rode the Facebook graph and News Feed to explosive growth only to plummet off a cliff when Facebook turned a knob behind the scenes or just cut off access. None of this should be surprising unless you're some “don't be evil” idealist. Take a more realpolitik view of tech and put yourself in Twitter and Facebook's shoes. Why do they want developers to build off of their platforms? The most ideal developers on their platforms would be apps and services that publish lots of great content into Facebook's News Feed and Twitter's Timeline such that users spent more time in either service seeing ads. The worst kind of developer would be one that used either the News Feed or Timeline just as a captive notification stream to build their own competitive social graph. Meerkat is guilty of at least one part of that. Meerkat leaves random links in Twitter that take users out of Twitter's timeline to some other app to experience content, and Meerkat's stale links just sit in Twitter timelines like branding debris or worse, as spam. For all its press these past few weeks, Meerkat's graph is relatively shallow. However, the potential for being first to get traction as another near real-time medium of note was rising with every live broadcast notification from another tech influencer. As Twitter knows better than anyone, it's not necessarily how many users you convert in the beginning of your journey to create a high-value graph, it's who you convert, and Meerkat had captured the imagination of some real luminaries. Furthermore, Meerkat is actually more real-time than Twitter, which lays claim to being the best publicly available real-time social network. Notifications are the most valuable communication channel of the modern age given the ubiquity of smartphones, and Facebook and Twitter are among the most valuable information streams to tap into given their large user bases and extensive graphs. Email is no longer the summit of the communication hierarchy, and both Facebook and Twitter want to avoid the spam issue that polluted email's waterfalls. This conflict of interest is why I refer to Facebook and Twitter as little p platforms. Developer beware. 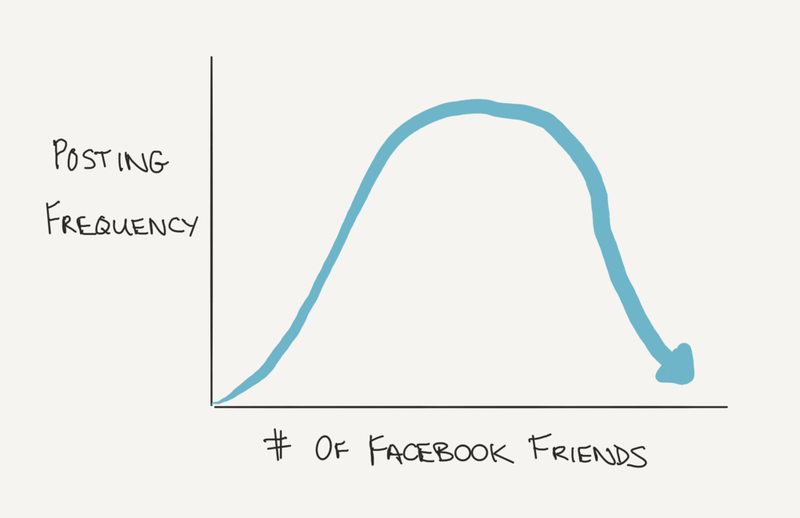 Unless they change their business model, any developer trying to build some other graph off of Facebook or Twitter should have a second strategy in place in case of explosive growth because access won't persist. Even before Facebook and Twitter, this type of platform risk from ad-supported businesses lay in wait to trap unsuspecting companies. Google search engine traffic is one of the more well-known ones. Google's PageRank algorithm is, for the most part, a black box, and I've encountered many a company that fell on hard times or went out of business after Google tweaked PageRank behind the scenes and turned off the bulk of a their organic traffic overnight. As Google enters more and more businesses, that platform risk only escalates. Alternative Platforms do exist, even if they're not perfect, and that matters because AWS, as developer friendly as it is, doesn't offer a useful graph for companies looking for viral growth. The most important such platform to date might be Apple's contact book. It's certainly one of the largest graphs in the world, and Apple doesn't rely on advertising to those users for income. The App Store is not completely open, but it's reasonably so, and once you're approved as an app it's rare that Apple would pull the rug out from underneath you the way Facebook and Twitter have. Phone numbers were the previous generation's most accessible and widespread key for identity and the social graph, and Apple's iOS and Google's Android operating systems and the rise of the smartphone suddenly opened a gateway to that graph. Many messaging apps bootstrapped alternative or parallel social graphs just that way. I doubt the telcos were looking that many moves ahead on the chess board, and even if they had, I'm not sure they would have had much recourse even if they had wanted to prevent it from happening. Meerkat is a very specific situation though, and the reason I still think of Twitter and Facebook as valuable platforms, even if it's with a lowercase p, is that both developers and Twitter and Facebook can benefit from lots of other more symbiotic relationships with each other. These relationships are possible specifically because of the nature of Twitter and Facebook primary ad unit. Both companies could do a better job of clarifying the nuance of just what types of relationships qualify. This would head off more developer frustration and prevent them from just writing off those two platforms entirely, as many already have. Given how many developers have been burned in the past, distrust is high, but I believe a lack of clear and predictable rules makes up more of the platform risk here than is necessary. More on that in a follow-up post.